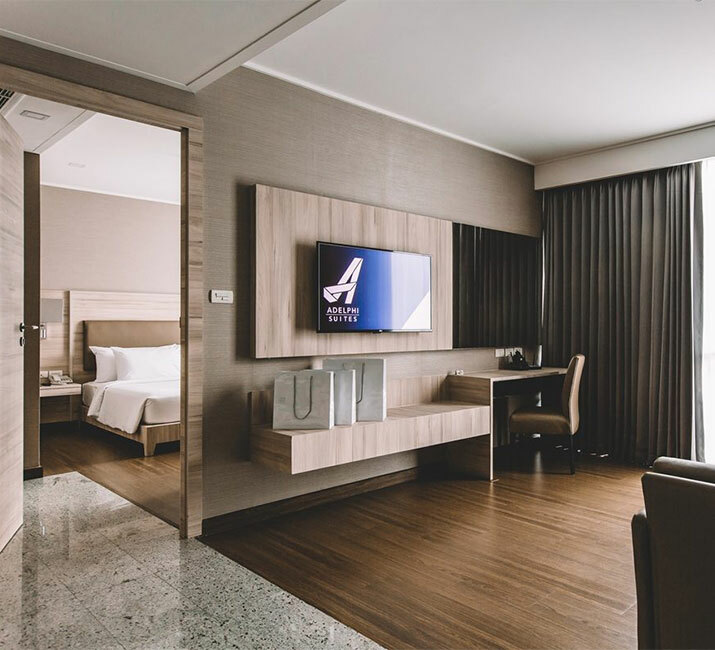 As one of the top 4 star hotels in Bangkok, Adelphi Suites Sukhumvit offers a range of stylishly designed and fully-furnished residences – providing a refuge of serenity and comfort in the heart of vibrant Bangkok. 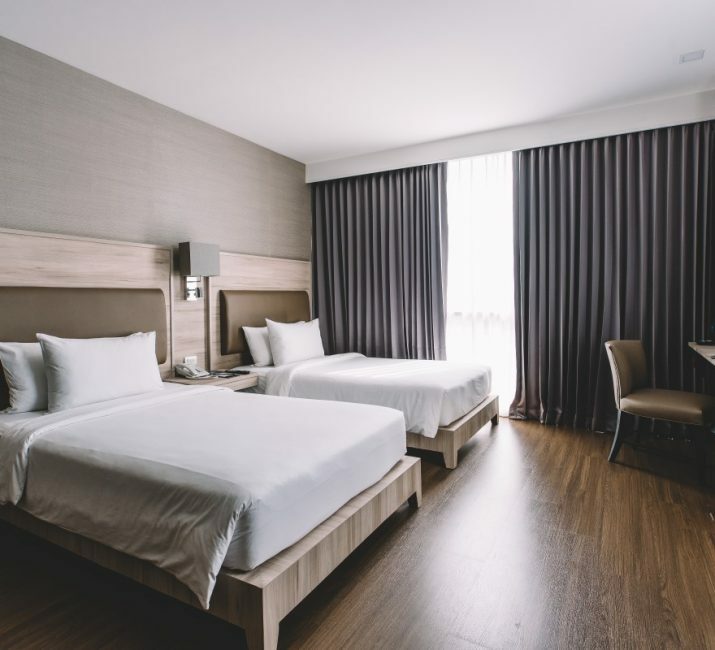 Upon arrival at this popular Nana hotel, you’ll also have the pleasure of experiencing Thailand’s ubiquitous and warm hospitality. Designed in a contemporary Asian style, Adelphi’s 93 studio apartments and suites are decorated in rich and earthy tones. 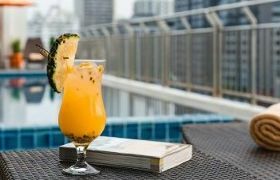 Each of our well-appointed rooms also contain all the modern comforts expected by the discerning traveler, including en-suite bathroom, En-suite Private Internet (15/5 Mbps), 43″ Internet TV, cable television and safety deposit boxes to create one of the most popular serviced apartments and hotel in Sukhumvit. 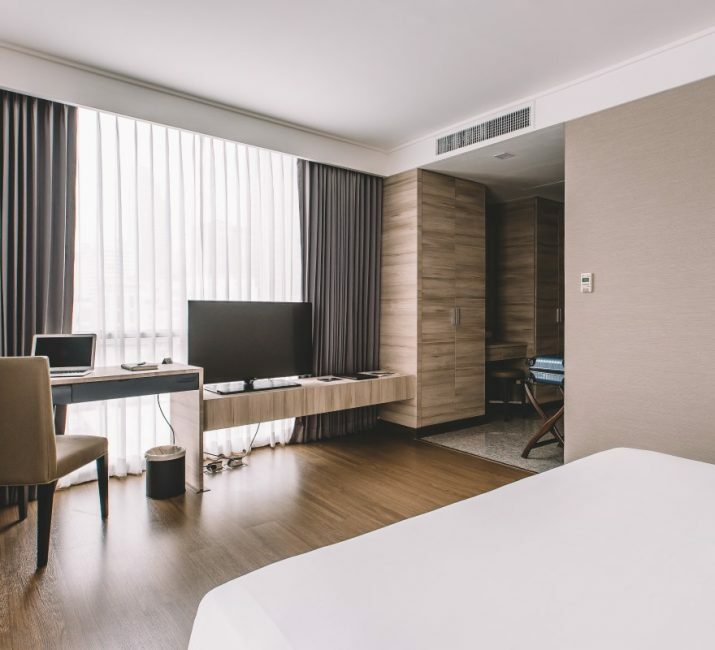 For guests seeking a warm and comforting serviced apartment or hotel in Sukhumvit, our elegantly appointed Studio Rooms provide 36 square meters of welcoming space – right in the heart of downtown Bangkok. With 48 square meters of space, Adelphi’s One Bedroom Suite provides the discerning traveler with a separate living and dining area – allowing you plenty of room to stretch out and relax in a homely environment in your serviced apartment in Sukhumvit. Elegantly furnished and with a range of modern amenities, Adelphi’s 54 square metre One Bedroom Premier is your home away from home and your ideal Bangkok residence. This spacious accommodation will provide you with greater comfort,…..